Now that tax time is approaching, we thought it a good idea to discuss some common tax issues associated with divorce and separation. As with every other aspect of divorce, a well-prepared decree and clear communication with your former spouse are the best ways to avoid misunderstandings that could cause you problems when dealing with the Internal Revenue Service (IRS). 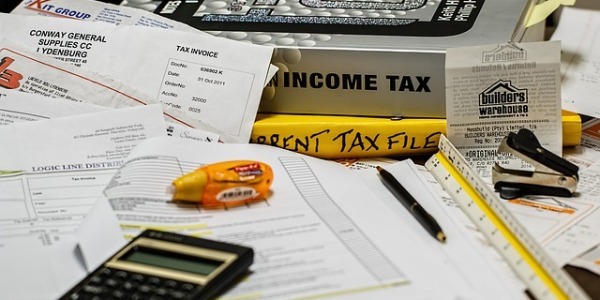 Another way to avoid problems is to utilize the services of your tax professional before you make filing decisions that you could come to regret later. A property settlement agreement needs to account for the value of different types of marital property. Receiving a proper valuation often requires the help of financial experts. The task becomes even more complex when you take into consideration the tax consequences of dividing some types of properties. To ensure that you are receiving fair treatment in your divorce, be sure you understand the full cost of your property settlement agreement. Work with an experienced divorce lawyer at Houston Divorce Counsel. We understand the issues involved in dividing complex marital assets and the cost vs. benefit of dividing property or paying alimony. Who will receive the dependent child exemption on their tax returns? When complex assets are involved, what are the capital gains on the liquidation of long-term investments? What are the tax consequences for the sale of a family home? Should you file joint or separately in the year of your divorce? Capital Gains Tax and the Principal Residence Rule. More often than not, the marital residence is the most valuable asset that a married couple owns. During the divorce, it is not unusual for the couple’s home to be sold and the proceeds distributed between them. If the home was sold for more than it was purchased for, meaning there was again on the capital asset, then there are specific rules affecting the spouses’ capital gains tax liability. The marital “home” could be a house, houseboat, mobile home, cooperative apartment, or condominium, but generally not vacant land. When your home is sold and there is a capital gain, can you avoid a capital gains tax? That depends on whether you owned and lived in the home, as your main home (not a secondary residence), for at least two years in a five-year period ending on the day the home was sold. This is the principal residence rule for capital gains tax purposes. Maximum Exclusion. If you satisfy the principal residence rule, then you can exclude up to $250,000 of the gain on the sale of your main home. And if you are married and file a joint tax return, that exclusion could be $500,000 ($250,000 for each spouse). Problems can arise when the marital home isn’t sold to a third party during or shortly after the divorce. Say, for example, that after the divorce is final, the home is lived in by one ex-spouse who has primary physical custody of the children. He or she lives there for many years before the home is sold and the proceeds divided. The ex-spouse who resided in the home for two years in the five-year period ending on the date of sale would avoid capital gains tax. The other ex-spouse – who doesn’t satisfy the principal residence rule – would not avoid capital gains tax. After you’ve filled in your name, address, and social security number, your tax status is the next question to answer on your individual income tax return (Form 1040). Your options for filing status are determined by your marital status on December 31, 2010. Selecting your filing status can have an impact on your overall tax liability, so it’s a good idea to consult with your tax professional about which option is best for you based on your particulars. Single Taxpayer. If your divorce was finalized by the last day of the tax year (December 31), the IRS will consider you unmarried for the entire year and you can file as a “single” taxpayer. Married Taxpayer. If your divorce was not final until January 1, 2011, or thereafter, then you may select “married filing jointly [with your spouse or former spouse]” or “married filing separately,” but not as a single taxpayer even if you were living separately. If you file jointly with your spouse or former spouse, both of you must sign the joint return. Deduction for Dependents. In general, the parent with child custody will claim the dependency deduction. This issue may have been addressed in the divorce decree, however, and both parties must follow the provisions of the court’s decree. Deduction for Alimony or Spousal Maintenance. Make sure that the spousal maintenance tax obligation shifts to the recipient of the money. The supporting spouse may deduct the money paid for spousal maintenance, or alimony. The spouse or former spouse receiving the alimony must include it as income on his or her tax return. If you made a non-cash property settlement in payments or as a lump sum for the benefit of the other party, then that is not deductible spousal support for federal income tax purposes. Any voluntary payments made, meaning payments that were not ordered in the decree of dissolution, are not deductible as alimony from income either. No Deduction for Child Support. Child support payments are never deductible. If you are paying child support and spousal maintenance, and you didn’t satisfy your total obligation, then the IRS requires that you account for the child support first (which is not deductible) before you account for the spousal maintenance paid (which is deductible). Deduction for Mortgage Interest. Who shall claim the home mortgage interest deduction may also have been addressed in your final divorce decree. If it was not, then this needs to be discussed with your former spouse because you cannot both claim the entire amount on your respective returns. The mortgage deduction goes to the person who paid the mortgage and interest out of his or her separate funds. If both parties contributed to the mortgage, or it was paid out of marital assets, then the deduction should be divided proportionately. The IRS will cross-check both spouses’ returns against the 1098 Mortgage Interest Statement, so exercise caution. Homes, real estate, and some types of personal property will require a title or deed change. Whether you own your property in joint tenancy or as community property with rights of survivorship, the final owner of the property will want to protect their rights by changing the deed. Cars, RVs and similar property will require a title change. If one partner tries to sell the property before the divorce is finalized, we may be able to get the asset back or get your share of the proceeds from the fraudulent sale.